Make sure you have cash in hand as you are buying from private owner and they need immediate cash. Finalize your brand and models. Know your area in which you will search for a car. Do you have a spare car that you can use to go different places to see the car? If you don't then can a friend help you drive places to see cars? Can you use public transportation to commute? If you are ready with above requirements then start looking for cars on Craigslist. You can also try other sites like sulekha, carfax but they are not that effective. Make a smart search in craigslist to filter unwanted cars. Select appropriately from the options. Dealers also post ads under owners so you need to see the ads carefully to hand pick your options. I normally see what kind of image the advertiser is posting. Is the ad very professional? Ask if he has a carfax report to show you. Any maintenance report to show. Any high resolution picture to share. Is the title clean and ready? Make sure not to ask repetitive questions if he already mentioned these on his ad. You should also check the pre-owned car price using KBB. It has become the industry standard to know what an old car should cost. You can text or email him with these questions and wait for a reply. Once you hear from him then decide if you will proceed or move to the next one. If you decide to go and see the car then this is the time to check the VIN (vehicle identification number) or the license plate in the carfax for accidents or any issues. You must be wondering if you continue to check all the vehicles in the carfax then it can cost a lot. You can buy an unlimited license plate and 5 VIN check for $55 only. If you still can't finalize your car and run out of VIN balance then contact the customer care for more. They are very generous and most likely give you some for free. Are you thinking, “how can I just get a single vin checked for really low price?” May be under $10. Yes, you can check a vin under $10 but not from carfax directly as it costs around $35. You can look for the same services in craigslist, you will see sellers selling it for $10 and below. I don't know how this works but they will give a pdf report and accept the payment through PayPal. I found it real so I can't guarantee a report from them. You need to be careful otherwise you might get cheated as lots of scammers in craigslist. Once you have the report and still interested to see the old vehicle then set one appointment with the car owner for a test drive. Preferably see the vehicle in day light and in a public place like mall or walmart. Check all the documents before taking the test drive. Make sure the title is with the owner and clean or whatever he mentioned before. Check the car in detail, on needed drive it to a mechanic to know more about the car. Don't carry cash to the spot. Once you like the car and finalize to buy it then pay him. I feel it safe to do the transaction in a bank. 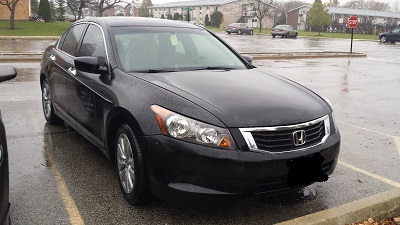 I almost shared everything that I knew from my experience of buying a Honda Accord EXL for $10,000. Good luck guys, share your experience with me.